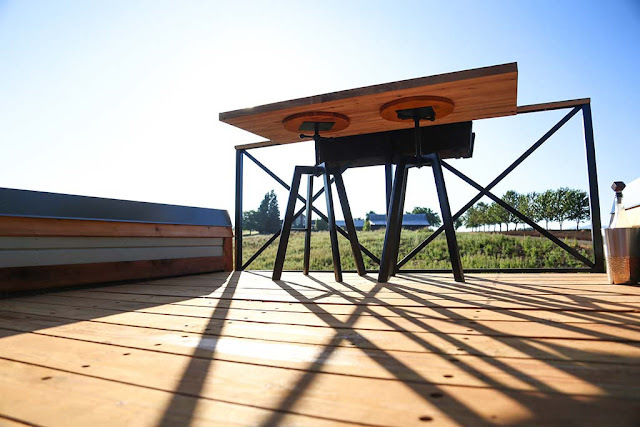 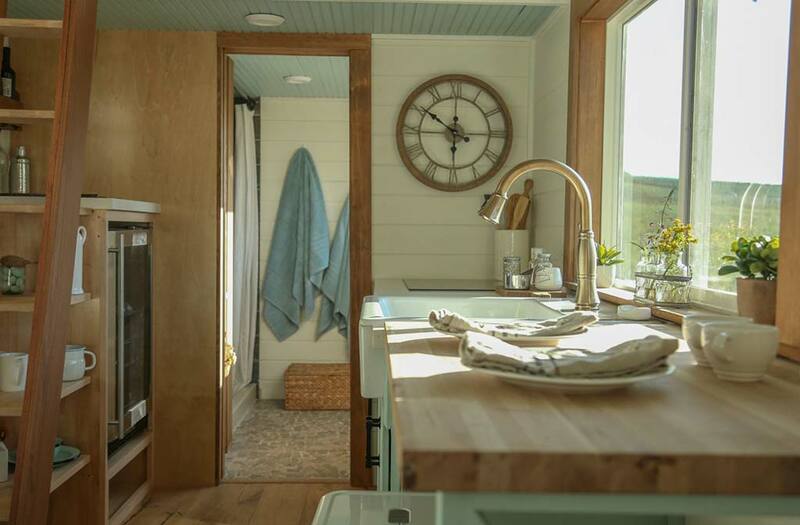 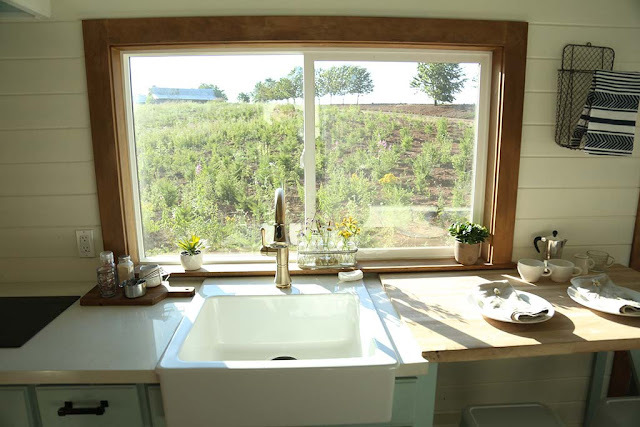 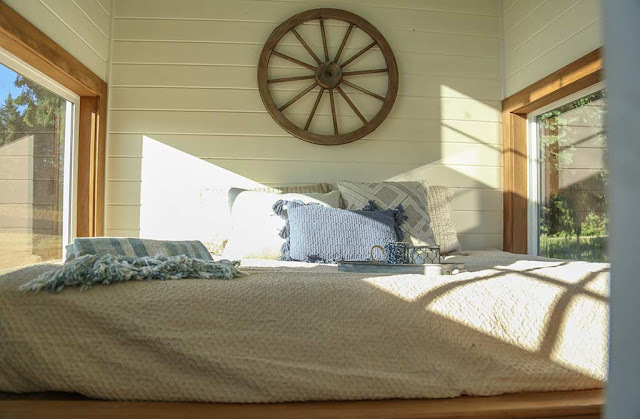 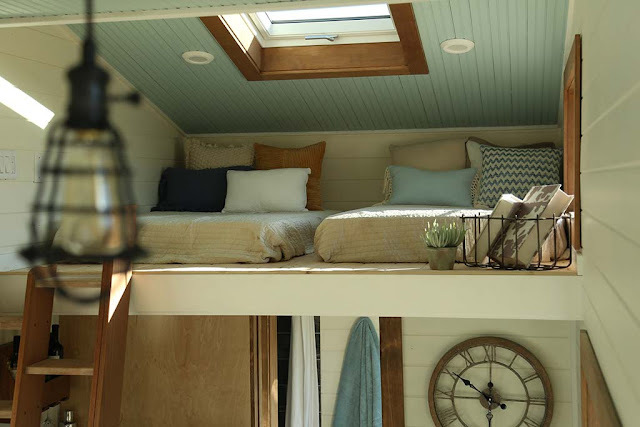 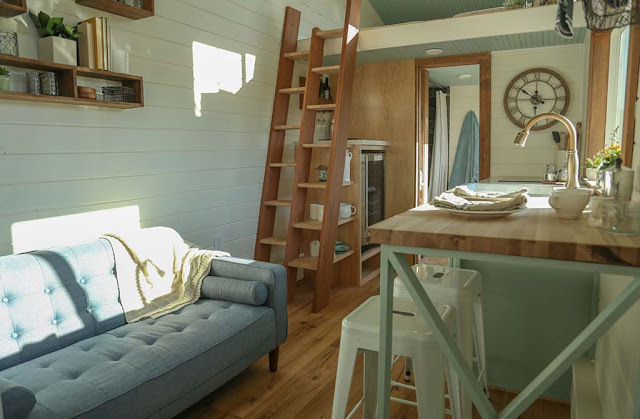 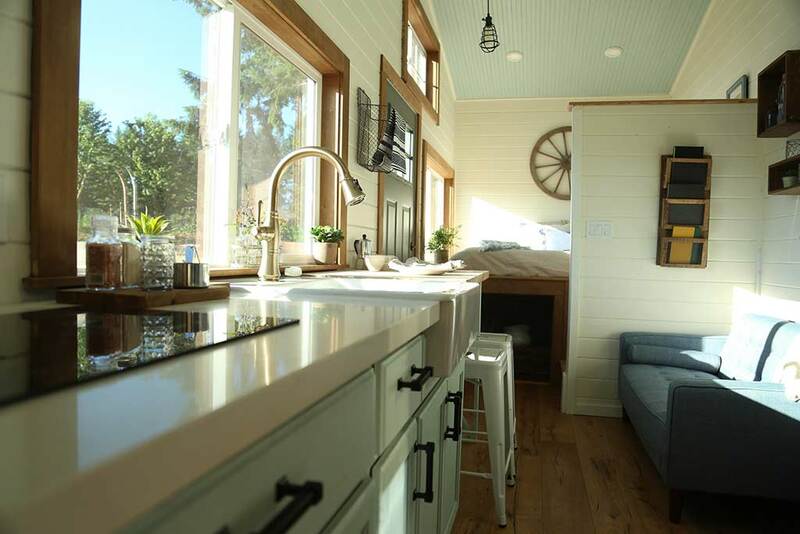 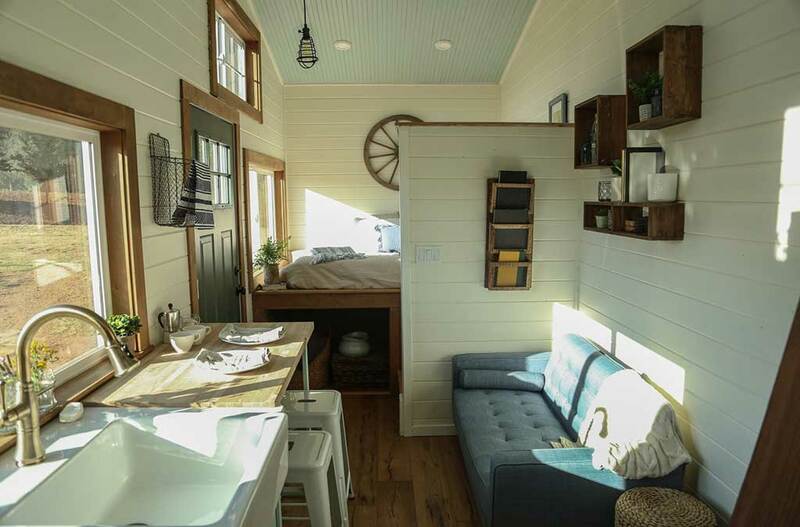 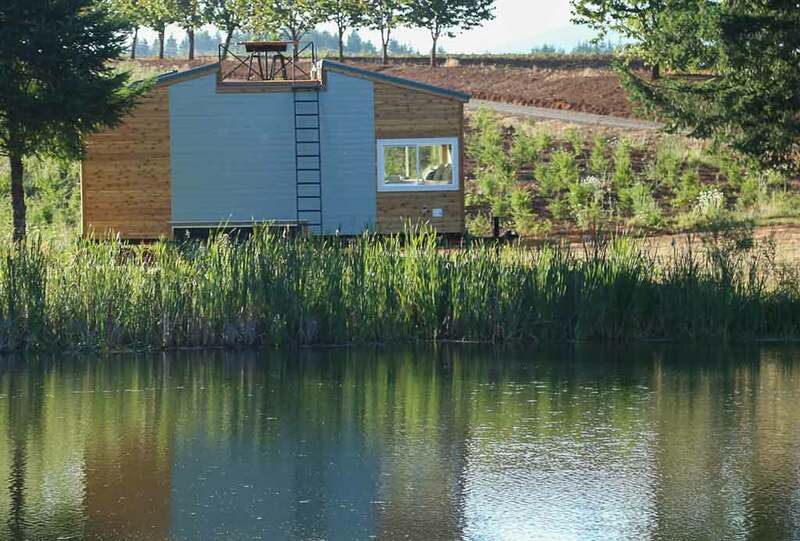 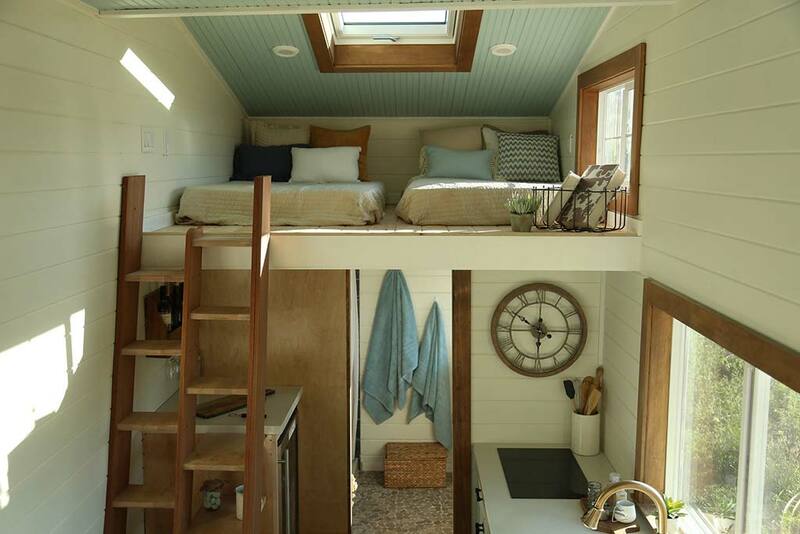 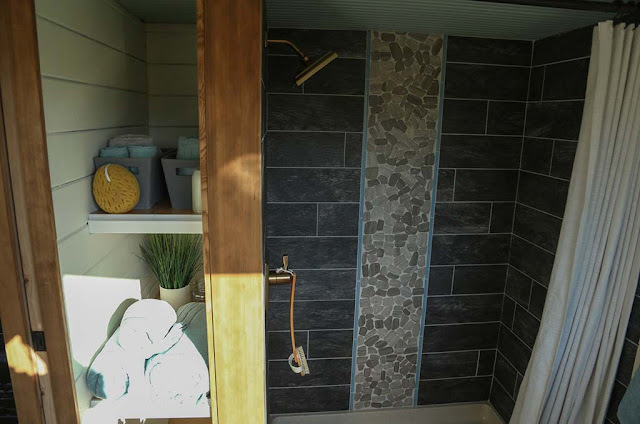 Check out this beautful rustic tiny home from luxury tiny home builder, Tiny Heirloom! 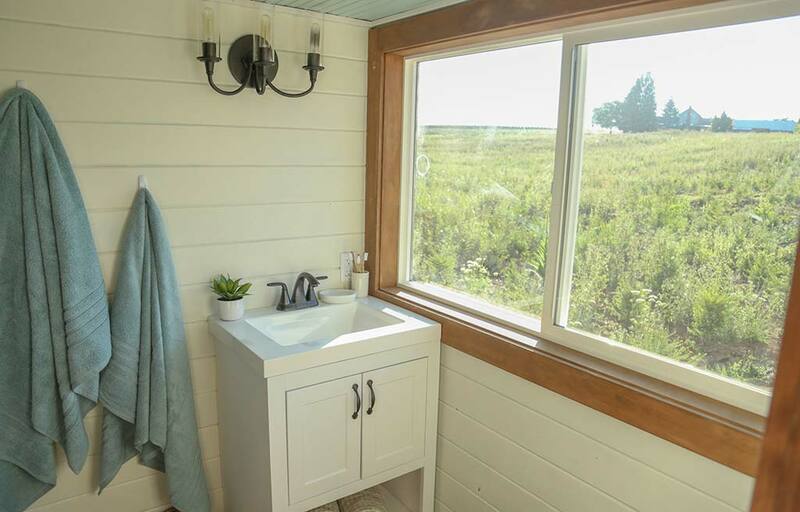 The home features a unique, modern/rustic exterior and a bright, clean country-style interior. 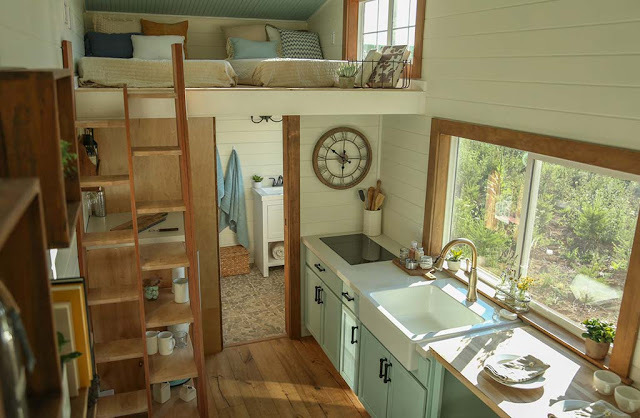 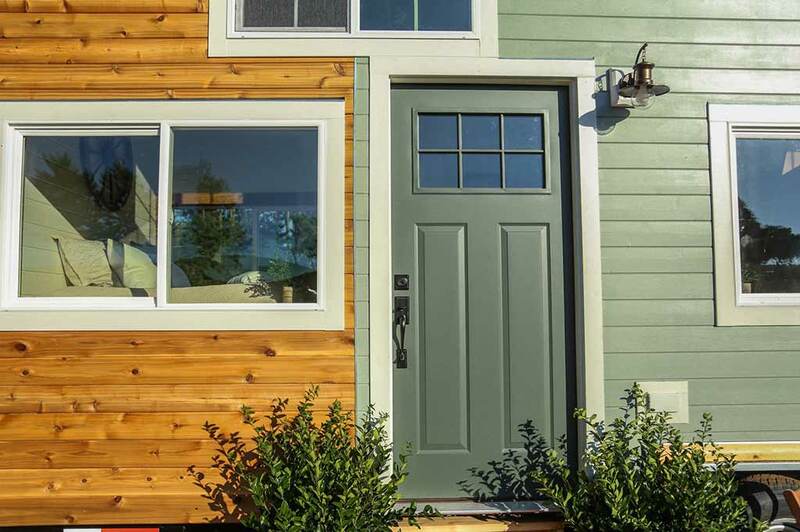 Despite the home's small size, it offers everything you'd need to live comfortably: a ground-floor bedroom, a scond bedroom in the loft, a kitchen, bar-style dining, a living room, and bathroom. 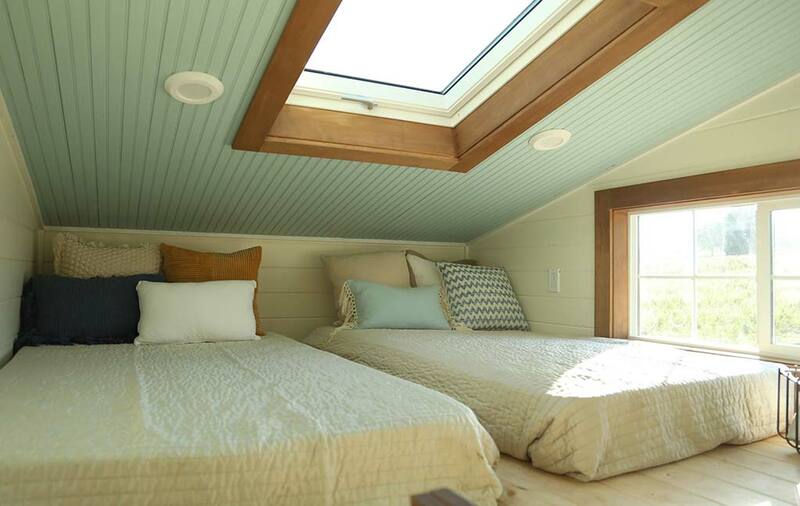 There's also an abundance of windows, including a skylight over the loft bedroom, to flood the home with natural light. 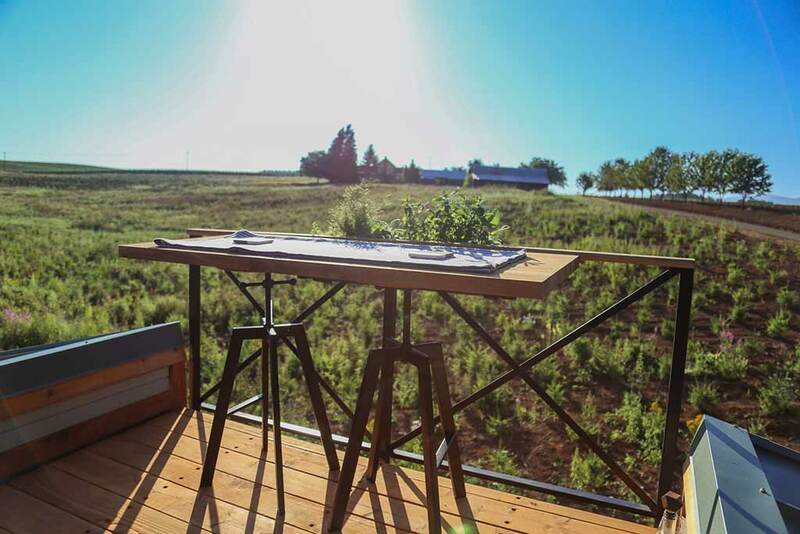 Perhapes the coolest feature of the home is its rooftop deck, which offers a great view in addition to a small dining spot for two! 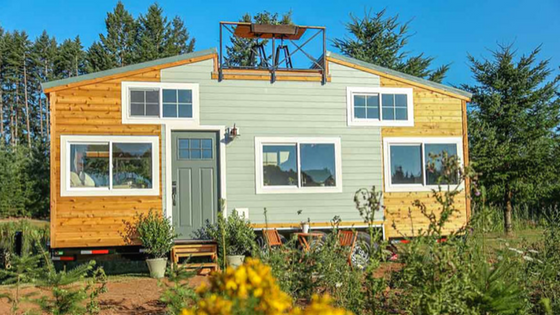 For more info on Tiny Heirloom and this home, contact the company here!